Bergamot is an American herb that was once widely used by native Americans. It was introduced to the early colonists by the Oswego Indians, and Oswego tea was made by colonists during the time of the Boston Tea Party. The dark pink, red and purple flowers smell pleasantly of oranges. They are a nice addition to the flower border and attract bees. 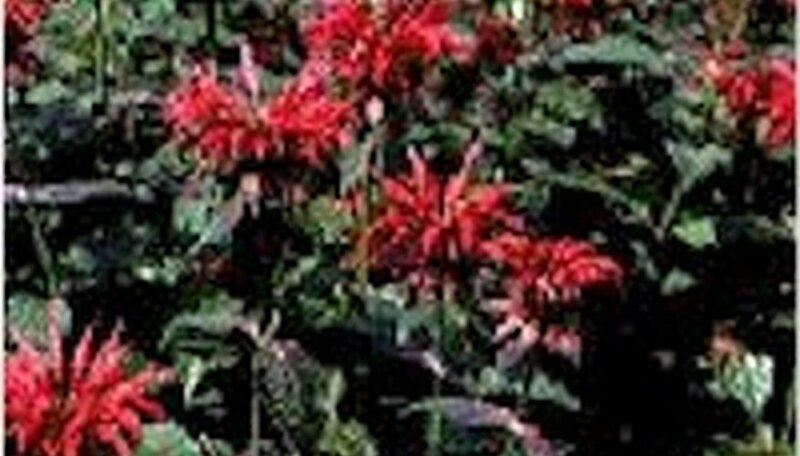 Bergamot is a perennial that grows best in soil that stays damp in the summer, however it dislikes damp winters. The plant is not suitable for chalky soils. It prefers sun but is adaptable to shade as long as the soil remains damp. The plant will benefit from the addition of bone meal. Bergamot makes a nice container plant. Cuttings of new growth can be taken in the spring, and they quickly root and establish themselves. Clumps of the plant form a mat-like growth and become bare in the center if not divided every three or four years. When lifting the plant, discard old growth and woody stems. Lemon bergamot can be started from seed indoors and set out in late spring. Use fresh young leaves sparingly in salads, fruit salads and fruit drinks. Five or six large fresh leaves or 1 teaspoon dried leaves in 8 ounces boiling water make a refreshing and relaxing tea. Improves the flavor of pork dishes. Use the leaves to make a facial steam. The leaves and flowers add color and flavor to potpourri. Lemon bergamot is a long-lasting cut flower.